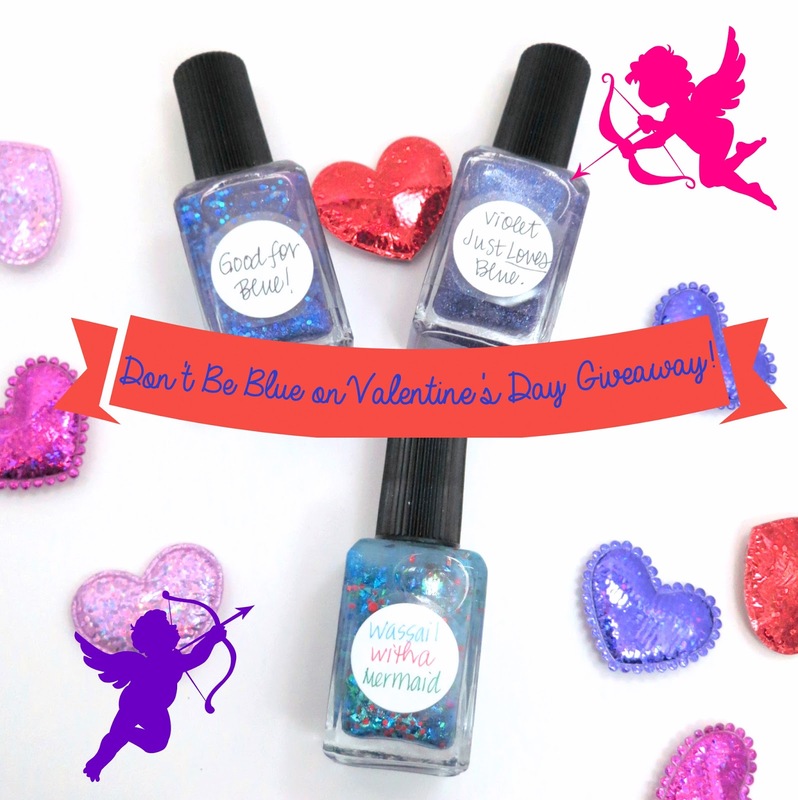 Oh Three Oh Four: Don't Be Blue on Valentine's Day Giveaway! Since Valentine's Day is creeping up, I thought it would a good time for another giveaway! :) The husband and I don't really celebrate Valentine's Day, but I always love seeing the polishes that come out! ;) I thought it would be fun to giveaway polishes not in the normal pink and red color scheme for Valentine's Day, so I went with blue. There will be 3 winners and this IS open internationally! This giveaway will end February 11, 2014 at 11 PM PST. The winners will be announced here and on Facebook. The winners will have 48 hours to respond to me or a new winner will be chosen in their place. I am not responsible for lost/damaged deliveries.